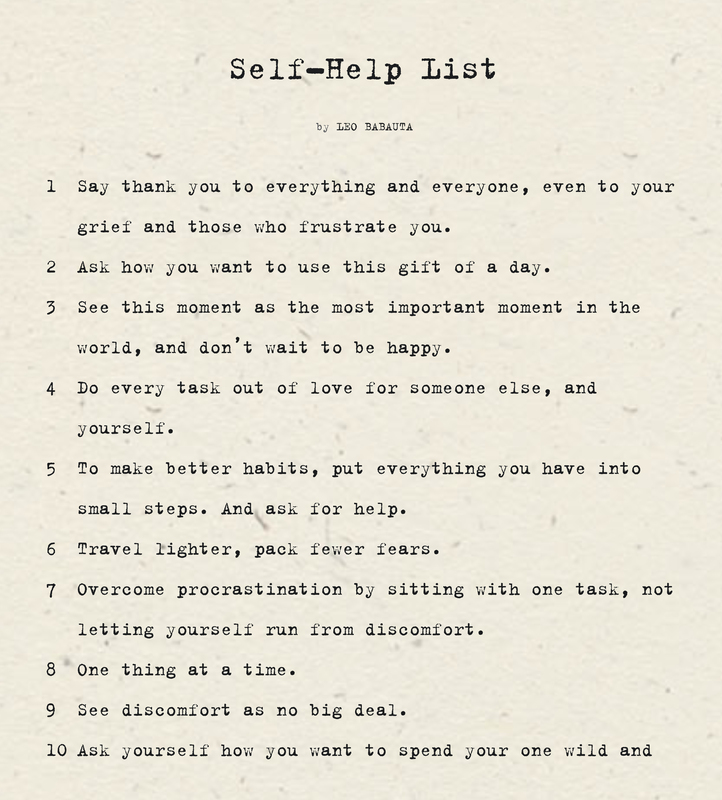 Thank you Leo Babauta for this much needed list, and for being so right on! Say thank you to everything and everyone, even to your grief and those who frustrate you. Ask how you want to use this gift of a day. See this moment as the most important moment in the world, and don’t wait to be happy. Do every task out of love for someone else, and yourself. To make better habits, put everything you have into small steps. And ask for help. Travel lighter, pack fewer fears. Overcome procrastination by sitting with one task, not letting yourself run from discomfort. See discomfort as no big deal. Ask yourself how you want to spend your one wild and precious life.